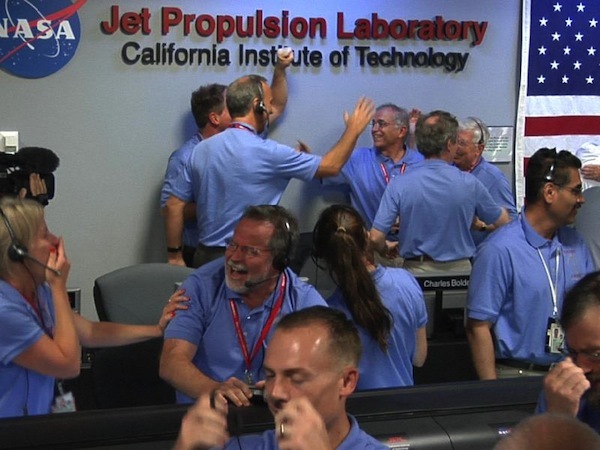 Congratulations to NASA's Jet Propulsion Laboratory on the successful landing of Curiosity last night! The huge (2000 pounds!) explorer, equipped with a huge science deck, used a combination of parachutes, rockets and belaying tethers to touch down right on target, right on schedule. 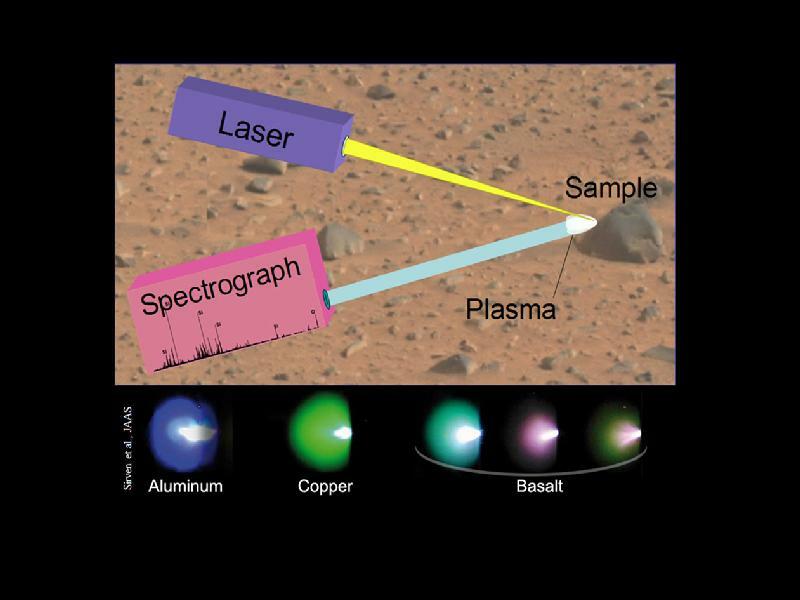 Curiosity has plenty of instruments on board, but the laser breakdown spectroscopy system is among the newer ones for a Mars mission. It works like this: zap a spot with a high intensity laser, ionize the material to a plasma, use a spectrometer to read the elemental composition from the emission spectra. Unlike the carbide teeth on a grinder wheel, lasers never get dull, so as long as Curiosity has power from its nuclear cell, the science can continue.